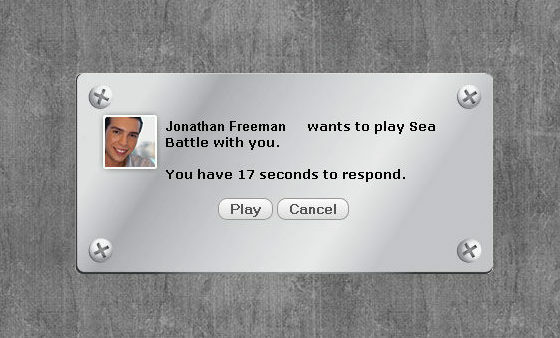 Sea Battle is a classic Battleships Multiplayer Game. In past you could only play it on paper or a board game with a person next to you. Now you can play against your Facebook friends no meter where they are. 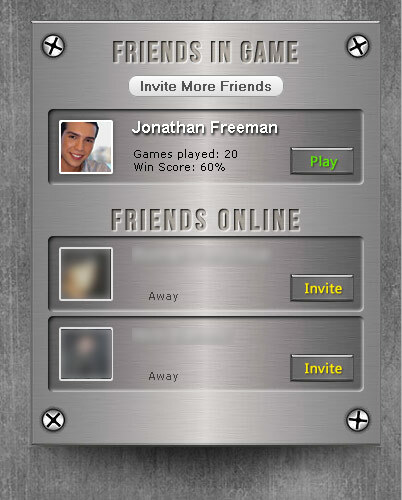 Simply invite your friends to the game from dash board, and wait till they come into the game room. Then send “Play” request and wait for the friend to accept the request. Once accepted, enjoy the multi-player experience. There is no need to say the location on opponent’s map where you are firing. Just click it, and your missile is launched, and gets there within seconds. All your wins and losses are saved in your profile, and your winning percentage score is recalculated each time your win or lose. Animated visual effects and sounds make it feel more like a video game, not a board game. 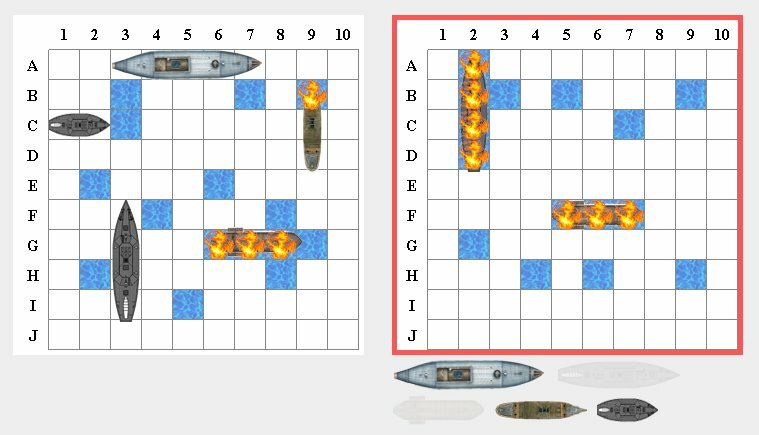 This Battleships multiplayer game works on a computer and tablets, such as Android and iPad. Try it for your self. If you experience any issues, errors, or other instability, please contact us to report the issue, so we could fix it quickly while providing you with awesome gaming experience. You Still Didn't Try It? Give it a try! It's FREE! Invite your friends from the game room and have FUN!